Fasting in the month of Ramadhan is obligatory upon every adult Muslim. Those who are sick or travelling, are exempted from fasting in Ramadhan. They must, however, make up all the missed days of fasting at another time. Those who are really unable (i.e. too old or too weak) to fast, are allowed to feed a poor person for every day of fasting that they miss (2:184-186). Muslims who are not exempted are required to fast for 29 or 30 days of the month of Ramadhan; the exact number of days depends on the appearance of the moon. Fasting starts with the sighting of the new moon of Ramadhan and ends with the appearance of the new moon of Shawwal. The fasting begins from Dawn and continues until Sunset. During this period, a Muslim does not eat or drink anything and abstains from any vulgar speech or act. Fasting in some form or another has been practiced by almost all religions. In addition to the obligatory fasting of Ramadhan, we may observe voluntary fasting whenever we like. There are, however, six commonly observed voluntary days of fasting after the day of Eid ul Fitr in the beginning of the lunar month of Shawwal (next month after Ramadhan), as practised by the Holy Prophet Muhammad, may peace and blessings of Allah be upon him. Keeps away from evils: By fasting, a Muslim abstains even from his essential and lawful requirements solely for the sake of Allah. Thus it becomes easy for him to keep away from the unlawful acts and evils which are forbidden by Allah. 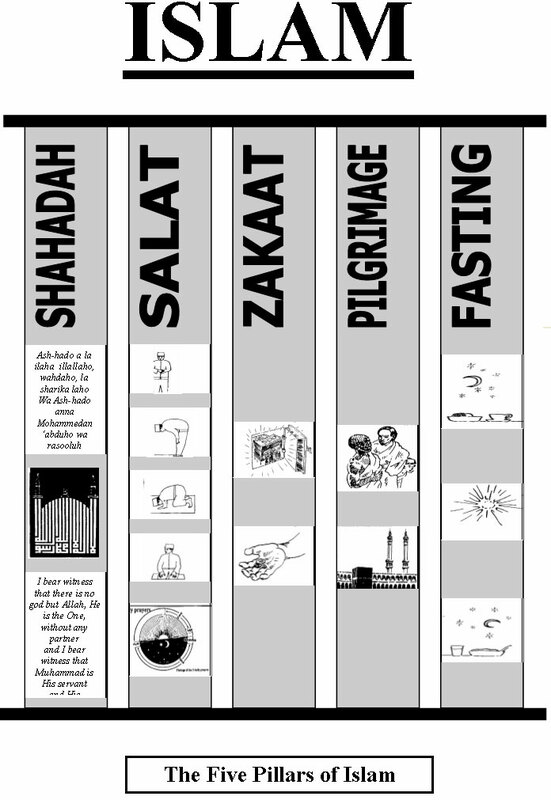 Promotes self-discipline and human sympathy: Fasting promotes self-discipline and endurance. It also reinforces the bonds of human sympathy, especially for the poor. During Ramadhan, the Holy Prophet, may peace and blessings of Allah be upon him, was very generous in giving charity to the poor. Promotes spiritual elevation: Fasting promotes spiritual elevation and love of Allah for His servants. According to the Holy Prophet, may peace and blessings of Allah be upon him, Allah Himself becomes the reward for a believer who is fasting, by forgiving his sins and accepting his prayers. Improves physical health: Fasting brings a healthy change in our body systems and promotes better health.